MERSCORP’s rights as mortgagee have come under fire in many courtrooms throughout the U.S., but a decision from the Massachusetts Court of Appeals reinforces the company’s right to assign a mortgage. In a lawsuit entitled Shea v. Federal National Mortgage Association, the borrower appealed the lower court’s decision dismissing his quiet title and related claims. On appeal, Shea argued that the underlying foreclosure was void because MERSCORP’s Mortgage Electronic Registration Systems never held the underlying note and was never a “true” mortgagee. Additionally, Shea alleged that the MERS assignment was invalid because the note holder did not specifically authorize MERS to execute the assignment. MERS won in Massachusetts court in June as well. In Cohen v. The Bank of New York Mellon, the Massachusetts Superior Court concluded that the Bank of New York Mellon, as trustee for the certificate holder CWALT, Inc. Alternative Loan Trust 2006-AO10, had the authority to foreclose as lawful holder of the mortgage that MERS assigned to it. Two big factors that are playing in to the recent ease is the Federal Housing Finance Agency’s new down payment programs and the Federal Housing Administration’s reduction in mortgage insurance premiums. In October, Fannie Mae and Freddie Mac announced 97% loan-to-value offerings. At the beginning of the year, the Obama Administration directed, via executive action, the FHA to reduce annual mortgage insurance premiums by 50 basis points, from 1.35% to 0.85%. FHA monthly insurance premiums dropped dramatically at the beginning of 2015. 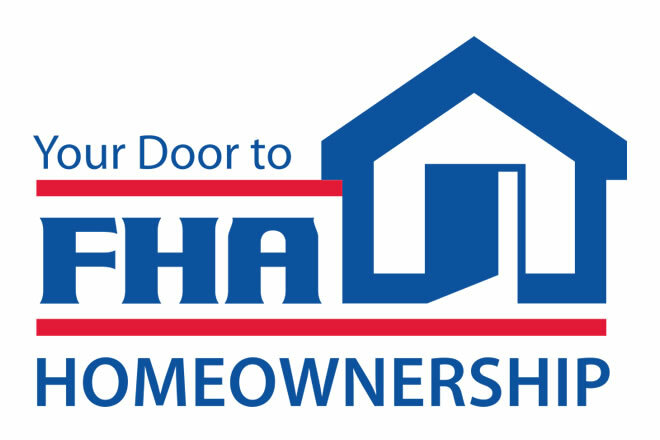 The change, from 1.35% to only 0.85%, will make FHA loans a better choice for some borrowers after years of prohibitively high premiums, said Anthony Hsieh, chief executive officer of loanDepot, one of the largest FHA lenders in the country. Feb. 17, 2015 – 4:59 – Auction.com Senior V.P. Rick Sharga and National Review’s John Fund debate the return of 3% down payments to lure home buyers. The mortgage lenders were accused of selling residential mortgage loans with faulty underwriting that ResCap then packaged and resold, the article said. The article noted that the judge did dismiss breach of contract claims for loans purchased by RFC before May 2006, ruling they were untimely. Glenn did throw the banks a bone when he barred ResCap’s breach of contract claims related to loans purchased before May 14, 2006. But even that portion of the decision didn’t go fully in the banks’ favor. While Glenn found that a six-year statute of limitations applied, the banks’ primary argument was that the applicable statute of limitations was three years. That would have created a May 14, 2009, starting date for ResCap’s contract claims, cutting off most of those claims because ResCap bought virtually all the mortgages at issue before that date, according to the decision. Banks are not past the days of mortgage fraud cases, according to an article in Reuters. Eric Schneiderman, the New York attorney general, said he plans to bring more fraud cases against the world’s biggest banks for selling shoddy mortgage-backed securities before the financial crisis. The attorney general said that group remains “very active,” while declining to discuss whether he is in settlement talks with Morgan Stanley, the bank that sources say is next in line for a settlement. A spokesman for Morgan Stanley also declined to comment. Just two months ago, Mega bank JPMorgan Chase (JPM) signed an agreement with government agencies, including Schneiderman’s office, to end all existing legacy mortgage-backed securities issues for $13 billion. Credit Suisse is up against a $10 billion lawsuit from New York Attorney General Eric Schneiderman over its alleged role in the sale of fraudulent mortgage-backed securities in the years leading up to the financial crisis, but says it will fight the case, according to a Reuters report. 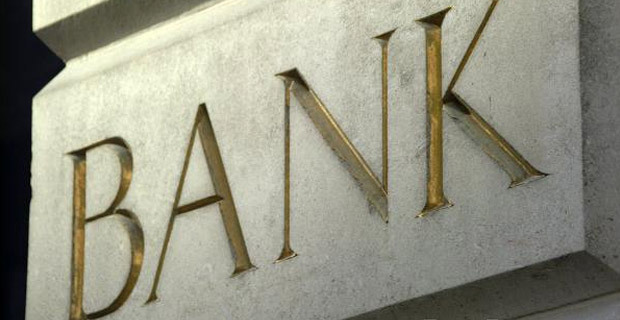 The investment bank said on Monday that it will fight the case. Other banks have been sued for fraud involving mortgage-backed securities, including JPMorgan Chase, which agreed to a $13 billion settlement with the Department of Justice last year. Some $613 million of that settlement went to New York State. Citigroup paid $7 billion in fines last summer and Bank of America paid almost $17 billion to federal and state authorities involving fraudulent mortgage back security sales back in August. Shares of Credit Suisse are trading down about 1.3% at $25.62 per share. Denver-based, MountainView Servicing Group is advising the sale of a Freddie Mac and Fannie Mae mortgage-servicing rights portfolio, with $4.2 billion of aggregate unpaid principal balance. The portfolio features 100% fixed-rate and first lien product, a weighted average original FICO score of 752 and a weighted average original loan-to-value ratio of 75%. In addition, it has a weighted average interest rate of 4.19% and low delinquencies. The portfolio is highly concentrated in California (51.3%), Arizona (8%), Texas (5.9%) and Colorado (5.2%). The average loan size it $23,937. Bids for the portfolio are due Jan. 7. The rent may indeed be “too damn high,” but it’s only going up, according to a new report from online real estate listing service Zillow. According to new analysis from Zillow, U.S. renters paid $441 billion in rent in 2014, up $20.6 billion from 2013’s total of $420.4 billion. That represents an increase of 4.9%. Among the largest 25 metro areas covered by Zillow’s data, the three metro areas where rents rose the most were San Francisco, where the average rent payment rose by 13.5% or $163 per month; Denver, where the average rent payment rose by 10.8% or $86; and Pittsburgh, where the average rent payment rose by 10.6% or $56. But the rent jumped the most in San Jose, California, where rents rose by an average of 14.4% or $197 per month in 2014. Accounting for an estimated 770,000 additional U.S. renters in 2014, the average renter household spent $26 more per month in 2014 than in 2013, for a total of $312 more paid in rent this year compared to last, Zillow said. 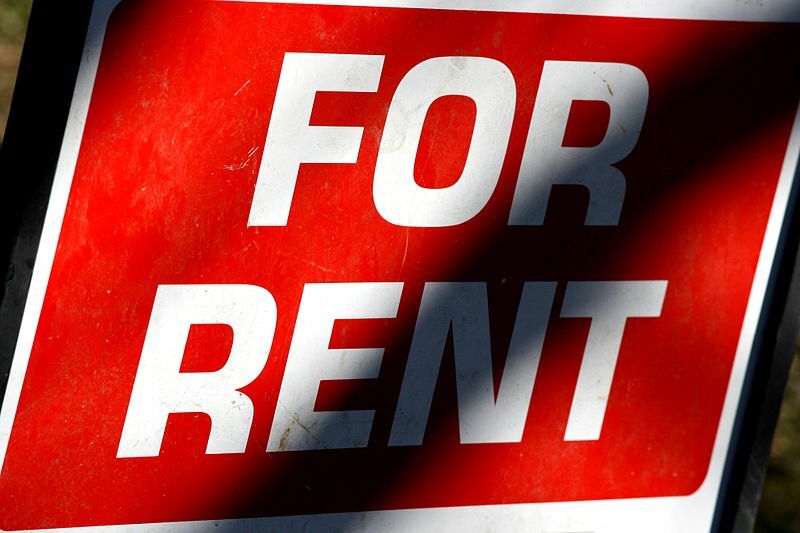 “Over the past 14 years, rents have grown at twice the pace of income due to weak income growth, burgeoning rental demand, and insufficient growth in the supply of rental housing,” said Zillow Chief Economist Stan Humphries. Ben Lane is a reporter for HousingWire. Previously, he worked for TownSquareBuzz, a hyper-local news service. He is a graduate of University of North Texas. 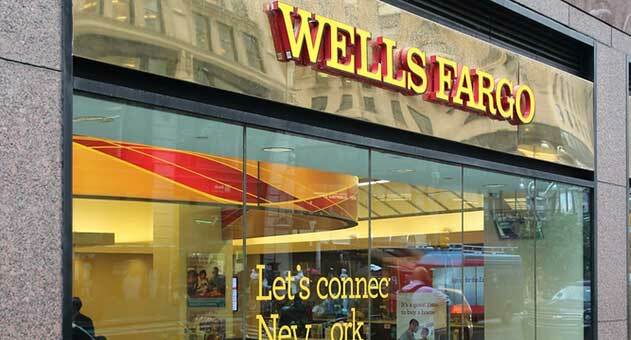 Wells Fargo & Co. (WFC), HSBC Holdings Plc (HSBA), Bank of New York Mellon Corp. (BK) and Deutsche Bank AG (DBK) were sued by an Irish securities firm that claims the banks failed to protect investors in their role as trustees of securities backed by home loans that defaulted after the 2008 credit crisis. Phoenix Light SF Ltd. accused the banks, in complaints filed yesterday in Manhattan federal court, of failing to safeguard the interests of investors as required by their contracts. The securities were sold from 2005 to 2007. Phoenix Light and related investors sued Deutsche Bank over 21 securitization trusts on which they claimed $183 million in losses. BNY Mellon was sued over 27 offerings for claimed damages of $269 million. Wells Fargo was sued for $237 million in losses on 12 securitizations and HSBC for $170 million on 11 securitizations. The suits are part of a move by investors to target trustees of mortgage securities over their role in the crisis. 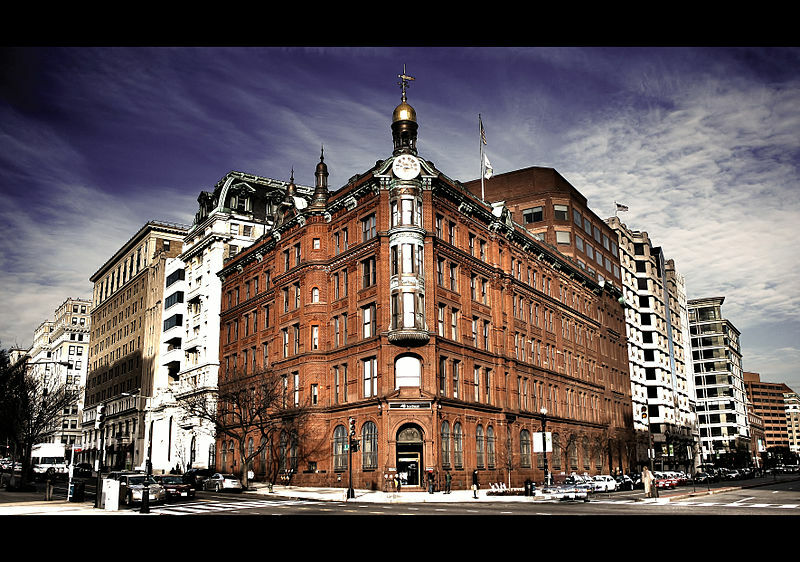 Trustees have been sued by the National Credit Union Administration and by other investors, including hedge funds. The National Mortgage Risk Index for Agency purchase loans rose in November to 11.69%, up from the average of 11.29% for the prior three months, according to the American Enterprise Institute’s International Center on Housing Risk. The risk indices for Fannie Mae, Freddie Mac, the FHA, and the VA all hit series highs in November. The November results are based on 208,000 home purchase loans, nearly the universe of such loans with a government guarantee. With the addition of these loans, the total number of loans that have been risk rated in the NMRI since November 2012 moved above 5 million. Edward O’Donnell, a former Countrywide Financial executive, will receive more than $57 million in exchange for his testimony and help in securing a $16.65 billion settlement between Bank of America (BAC) and the U.S. Department of Justice to resolve claims over toxic mortgage-backed securities on residential mortgage loans sold to Fannie Mae and Freddie Mac in the run-up to the financial crisis. O’Donnell, who already stood to earn a hefty whistleblower payout from his participation in the so-called “Hustle” case against Bank of America, will also receive money from Bank of America as part of the record settlement between BofA and the DOJ, according to a report from the New York Times. The payment to Mr. O’Donnell arises from a federal civil lawsuit he filed under the False Claims Act earlier this year and which Preet Bharara, the United States attorney for Manhattan, joined and used as the basis for pressing Bank of America to reach a deal. As for Mr. O’Donnell, his role in providing ammunition to the federal prosecutors who pursued the so-called global settlement with Bank of America was not previously known. It only became public in a court document, which was filed on Monday. O’Donnell said he went to federal authorities and filed a whistle-blower lawsuit after learning the government might settle with the lender. He contacted the office of Manhattan U.S. Attorney Preet Bharara in February 2012 after reading in news accounts that the Justice Department was considering settling with large U.S. banks accused of selling bad mortgages to government-sponsored enterprises. 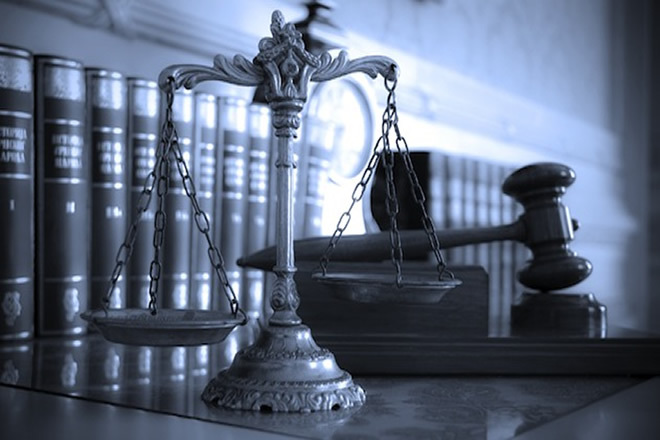 In a complaint filed that month under the False Claims Act and unsealed eight months later, O’Donnell alleged that Countrywide issued defective mortgages under its “High Speed Swim Lane” program, or HSSL, and then sold them to Fannie Mae and Freddie Mac. The U.S. later joined the suit. MERSCORP earned another legal victory against a disgruntled mortgagor who claimed that MERS didn’t have the authority to assign a mortgage. The company announced Tuesday that the Supreme Court of Rhode Island agreed with its previous rulings on MERS-related cases and dismissed a case in which a borrower challenged MERS’ rights to assign a mortgage. According to a release from MERS, Rhode Island’s highest court dismissed an appeal brought in Breggia v. Mortgage Elec. Reg. Sys., Inc. A lower Rhode Island court previously ruled in favor of MERS, but the plaintiffs filed an appeal, claiming that there were errors in the lower court’s findings. MERS also secured a series of legal successes in October, when the Rhode Island Supreme Court dismissed a series of cases that challenged MERS’ mortgage assignment authority. We’re closing out the best year in the U.S. economic recovery since the recession hit in 2008. For the most part, the housing market has rebounded. And plenty of places are reaping the benefits. 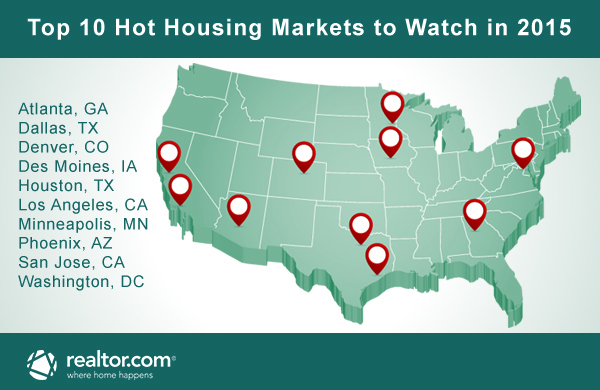 Where can you find these hot housing markets? Realtor.com® Chief Economist Jonathan Smoke offered up his top 10 picks for 2015—the places where we can expect to see strong housing growth, affordable prices and fast-paced sales. “The markets on this list range from big cities with older housing stock to big and mid-size cities with substantial levels of new construction to up-and-coming markets appealing to young professionals for their job growth and high affordability,” Smoke said. Some of the cities on the list are familiar to anyone who’s kept an eye on real estate trends, but there are a few surprises in the mix. We’ve hand-picked a lovely home in each city—to learn more about any of them, just click on the images below. If you’d like to discover more of what these happening cities have to offer, simply click the city name. 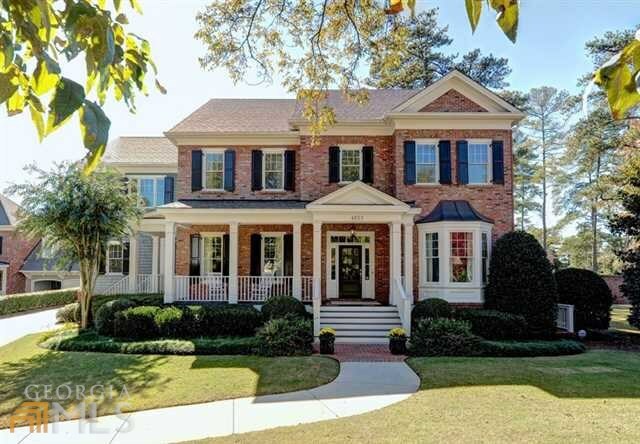 One of the cities hit hardest by the bubble bursting a few years ago, Atlanta took longer than other markets to recover from the housing crash. But now, the sprawling metropolis is showing signs of rebounding. Over the next five years, the Atlanta market is expected to see 7% growth in total households, Smoke says. At the center of transportation throughout the Southeast, Atlanta is also experiencing strong employment growth and its income is on par with the the rest of the nation. Plus, Atlanta is still affordable—especially compared to other markets—despite predictions of increasing prices. City home sales are forecast to be up by 11% in 2015 as household growth, job growth and affordability work together to speed up the housing market recovery. Dallas has been a top performer and is expected to remain one of the best markets in 2015, Smoke says. Although it’s home to 20 billionaires, the city hasn’t had its real estate market thrown out of whack by big money. The Southern city is on pace to set a new employment record in 2014, the market is affordable, and it continues to draw an influx of new households. 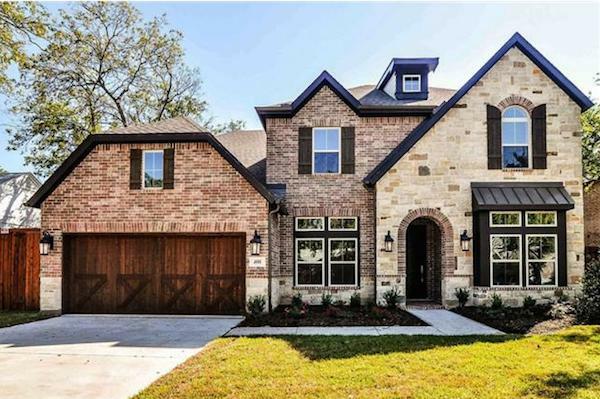 Everything’s bigger in Texas, and huge new homes are springing up all over Dallas. The city’s strong new construction market helps to contain any worry of housing supply pressure. Smoke predicts a 3% growth in home prices in 2015 and 7% growth in home sales. Although it’s freezing in the winter, this mountain metro is the hottest when it comes to real estate. Denver is on track to see the largest percentage increase in home sales—14%—of any major market, according to Smoke. It’s had one of the stronger local economies since the recovery began and is now setting new records for jobs. 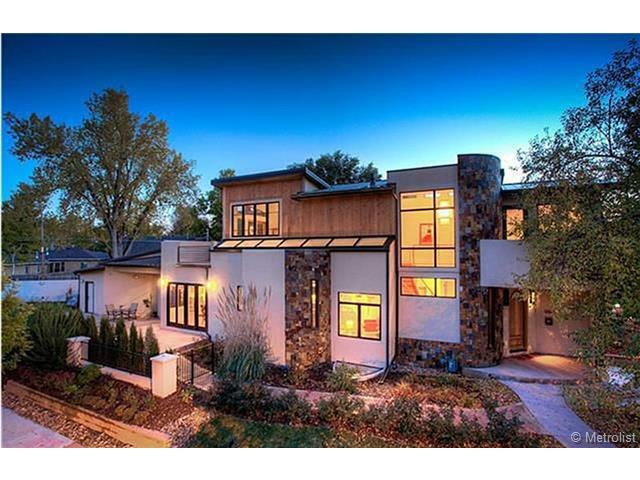 Home prices are fully recovered, and the Mile High City will likely end 2014 with more home sales than 2013. The market’s biggest looming concern is declining affordability: Smoke predicts 3% growth in home prices in the next year. The housing market has been on a roll recently, with some markets even recovering to their peak 2006 levels. That sounds good, until you remember what 2006 was like. In retrospect, it seems clear that those prices were overly inflated by a boom mentality. Can the same be said for the housing market now? So far, home prices have been rising at a more measured pace than they were back in the frenzy of the housing boom. 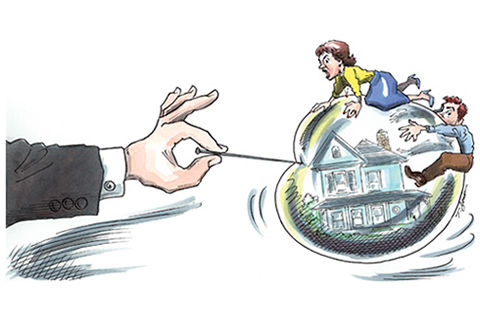 Still, there are at least five reasons to be cautious about the housing market. Quantitative easing is over. While the Federal Reserve is still keeping short-term interest rates near zero, it has discontinued the monthly bond purchases that were designed to push longer-term rates down. This was an important influence in getting mortgage rates to record lows. So far, mortgage rates have been surprisingly stable, but without the Fed actively keeping them lower, there is no reason why normal market forces could not quickly send them higher — especially if there is a whiff of inflation somewhere along the line. 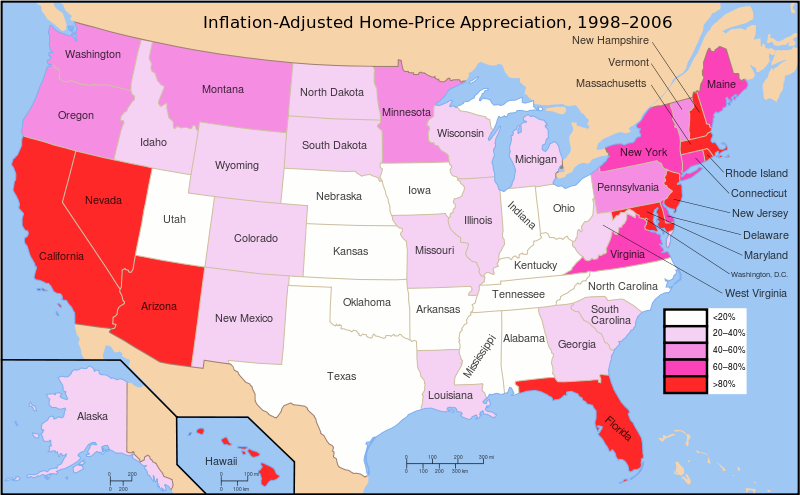 According to the S&P/Case-Shiller U.S. National Home Price Index, the housing market bottomed out in February 2012 and has been rising ever since. The good news is that prices still are not as high as they were in 2006, nor has the rise been as steep. However, the closer prices get to those levels, the more you have to ask what would make them sustainable now if they were not sustainable then. After announcing plans in October to boost lending for first-time and middle class borrowers by reducing down payment requirements, Fannie Mae and Freddie Mac this week detailed guidelines to banks that they hope will jump-start an otherwise struggling housing market. Two months ago, at the Mortgage Bankers Association’s annual meeting in Las Vegas, Federal Housing Finance Agency director Mel Watt discussed his agency’s desire to see the federal government lift some lending and credit restrictions that had been put in place as part of the Dodd-Frank financial reform law in the aftermath of the housing crash. This week, Fannie Mae and Freddie Mac unveiled programs that focus on authorizing government-sponsored enterprises (GSEs) like Fannie Mae and Freddie Mac to begin buying loans that have up to 97% loan-to-value ratios (LTV), instead of the previous maximum of 95% LTV, which means borrowers can put down as little as 3% with banks having the backing of the GSEs for those loans. That could help cash-strapped borrowers afford homes by requiring less up-front cash. There will also be a non-cashout refinance option available. A non-cashout refinance means that you can refinance the principal for a lower rate but you can’t take equity out. 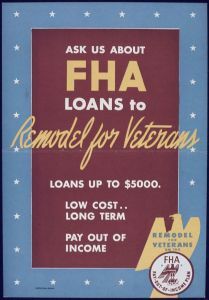 The loans will typically have lower interest rates than those offered by FHA, which also offers loans with 3% down payments, but they typically have higher interest rates because credit scores for those loans are lower, said Mark Livingstone, a mortgage broker with Cornerstone First Financial in Washington, D.C. “The Fannie Mae option is so much more attractive if the borrower has the [ higher] credit score,” he said. Typically GSEs like Fannie and Freddie buy loans from banks up to a limit of $417,000 — or $625,500 or more in the most expensive housing markets — which are known as “conforming” loans. Loans above the $417,000 limit are called “jumbo” loans and aren’t backed by the GSEs, which is why they typically require higher down payments. 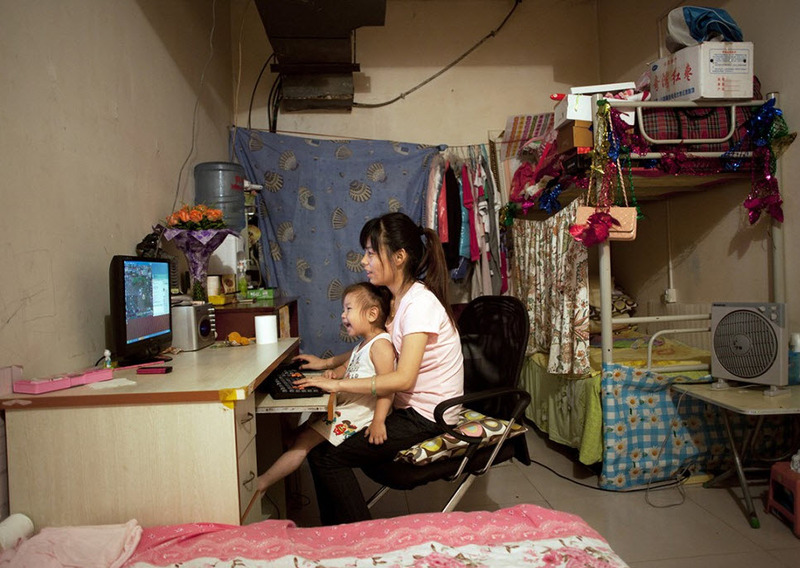 Twenty-one-year-old Liu Jing sits in her apartment two stories underground in Beijing, China. Her laundry hangs above her head because there’s nowhere else to put her clothes. For an estimated 1 million Beijing residents, dubbed the “rat tribe”, living above ground (or in ghost cities) is a luxury they simply cannot afford. As NPR reports, with even the tiniest apartment costing a fortune (and 21 million people fighting for space), there has emerged a new ‘affordable’ housing option… below the city’s bustling streets. Thanks to building codes that force the creation of basements and bomb shelters under new residences, there’s a lot of underground space (1 – 3 floors down) that is illegally – but affordably – used for habitation. With the Shanghai Composite stock index up over 40% year-to-date, creating wealth and trickling down, how can this be possible? [In Beijing] it is possible to find more affordable housing. You’ll just have to join an estimated 1 million of the city’s residents, and look underground. Below the city’s bustling streets, bomb shelters and storage basements are turned into illegal — but affordable — apartments. Annette Kim, a professor at the University of Southern California who researches urbanization, spent last year in China’s capital city studying the underground housing market. She says apartments go one to three stories below ground. Residents have communal bathrooms and shared kitchens. The tiny, windowless rooms have just enough space to fit a bed. With an average rent of $70 per month, she says, this is an affordable option for city-dwellers. But living underground is illegal, Kim says, since housing laws changed in 2010. 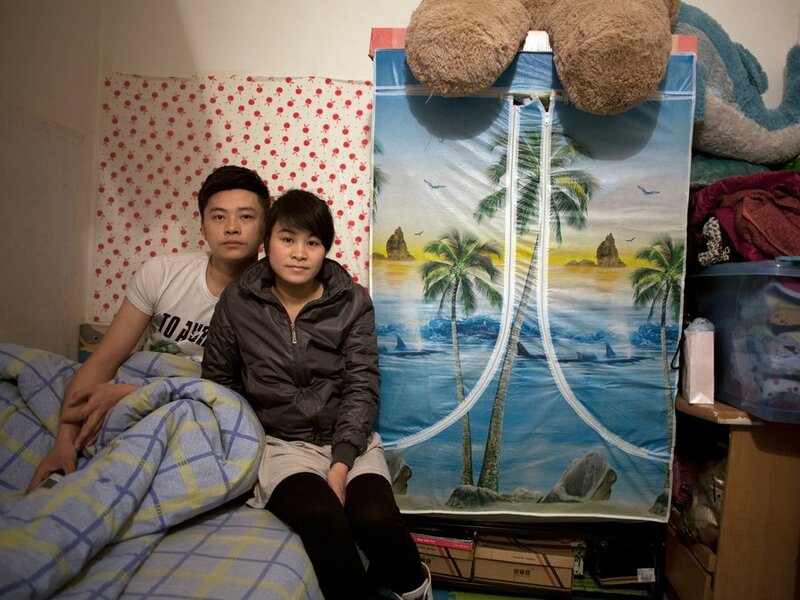 Zhuang Qiuli and her boyfriend Feng Tao sit on the bed in their basement apartment two floors below a posh condominium. Since this photo was taken, the couple has moved above ground. And, in addition, there’s a stigma to living in basements and bomb shelters, as Kim found when she interviewed residents above-ground about their neighbors directly below. In reality, she says, the underground residents are mostly young migrants who moved from the countryside looking for work in Beijing. Xie Jinghui sometimes does some weightlifting in his basement room. 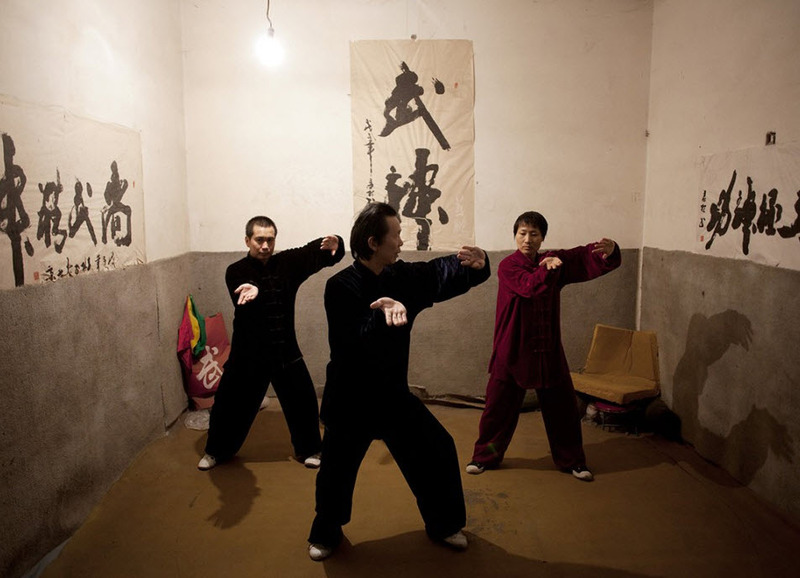 Photographer Sim Chi Yin says people adapt to these close quarters. But it’s rare to get a glimpse below. Property owners can be strict about whom they let in. But Beijing-based photographer Chi Yin Sim found a way. “I started to try and find ways to get down there because I was fascinated by the fact that there was a universe beneath our feet,” Sim says. The first basement-dweller she met was a young woman, a pedicurist at a salon, who lived with her boyfriend. “I was just like, ‘Can I come and visit?’ And she was like, ‘Sure, come and visit us,’ ” Sim says. The couple lived two floors below a posh Beijing apartment complex. Sim’s photos show just how tiny these units really are. The couple sits on their bed, surrounded by clothes, boxes and a giant teddy bear. There’s hardly any room to move around. But despite the laws against living underground, and the discomfort and shame associated with it, Kim says it’s still a very active market. For hundreds of thousands of people, it’s the only viable option for living in, or under, Beijing. China’s Rat Tribe, by Sim Chi Yin from Invisible Photographer Asia on Vimeo. So much for that urbanization route to responsible growth. Global hot money has squeezed an entire generation of service workers out from ever achieving their dreams. 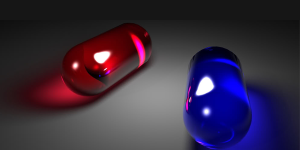 (RedPillReports) A RICO Fraud Enterprise (Racketeer Influenced and Corrupt Organizations Act-RICO) is behind, and is the root cause of the Mortgage Crisis and has been administratively implemented by MERSCORP, Inc., Mortgage Electronic Registration Systems, Inc. (MERS), the Shareholders of these two (2) corporate entities and all participating Mortgage Banks, Mortgage Bankers, Mortgage Brokers, Title Companies and numerous Other Parties who represent the 5,500+ MERS Members who have paid dues and fees to MERS and have pledged to follow the illegal MERS Rules and Regulations in lieu of complying with both State Statutes and Federal Codes. This RICO Cabal has destroyed the Statutorily required County Recorder’s Office residential mortgage records on most of the 70+ million mortgages tracked on the MERS System Databases. This records destruction has occurred because the MERS Rules, which guide, direct and control the actions of MERS Members has instructed those same MERS Members to NOT make the Statutorily required filings in the County Recorder’s Office. Instead, MERS Members are instructed to make Deed of Trust, Promissory Note and Related filings on the MERS System Databases ONLY and to destroy the Homeowner’s Original Mortgage Documents within thirty (30) days after the Closing of the mortgage transaction. These Illegal and Criminal acts have the legal effect of Breaking the property’s Chain of Title and rendering the lineage of ownership in the property untraceable, legally Non-perfectible and therefore, legally destroys the value of the property and the Homeowner’s investment. When Deed of Trust, Promissory Note and Related filings are made on the Private, Non-public, Non-accessible, Undisclosed, Uncontrolled, Non-State approved and Non-Federally approved MERS System Databases, the Homeowner’s critical Chain of Title documents are effectively taken “into the black world of secrecy” such that the MERS System then has the ability, with NO OVERSIGHT from any Official and Legal State or Federal Authority, to Illegally generate mortgage Transfer Assignment documents, without the Homeowner’s or Public’s knowledge, to powerful money interests on Wall Street and in other Financial Centers. 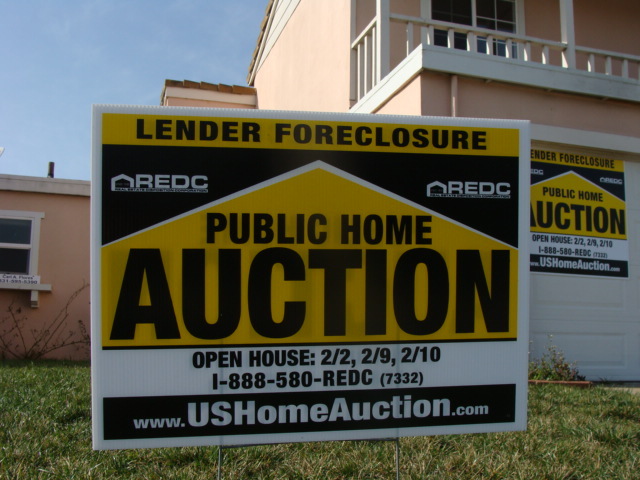 MERSCORP, Inc. and MERS, then form Illegal Securities called Residential Mortgage Backed Securities (RMBS) that are fraudulently underwritten by these previously financially destroyed home mortgages. These RMBS offerings are worthless because the underwriting assets, being the individual home mortgages, are likewise legally worthless. These illegal Securities spawn from Trusts formed under the laws of New York State and Federal Codes. These Trusts, of which there appear to be numerous thousands, elect exemptions from Federal Income Tax and become known as Real Estate Mortgage Investment Conduits or Trust (REMIC)s that, subsequently, are NOT REQUIRED to make Public Reports to any Federal Agency regarding the operations and financial dealings of the Trust (REMIC). There is NO OVERSIGHT of these Trusts. It is Securities Fraud under Federal Law to trade these illegal and worthless Securities. Revenues generated by trading these Illegal Securities are Not Exempt from Federal Income Taxes. These Trust (REMIC) entities have Neither Reported Nor Paid Federal Income Taxes in over a decade. Trillions of dollars have been generated by the RICO Fraud Enterprise MERS System Members and Others who have had an open playground in which to commit illegally fraudulent and criminal acts with impunity. Hundreds of billions or trillions of Federal Income Tax dollars have been stolen from the U. S. Treasury by the Participants in this criminal cabal RICO Fraud Enterprise. All six (6) major U. S. Bank Conglomerates, along with their hundreds of wholly-owned subsidiary masking and diffusing organizations, are up to their individual and collective necks in the Ownership, Management and Control of these Trust (REMIC) entities. Based on what we, the public, have witnessed since October, 2008, what follows is this writer’s opinion of what you, the Homeowner, can expect to see within the next three (3) years. This writer believes that the implementation of this, what I am terming, their “Endgame Exit Strategy” is already underway and that the public is simply yet unaware of this reality. This is what I believe you will see when the “Endgame Exit Strategy” is fully underway. 1. Major Bank and Mortgage Corporations will simultaneously and individually file for Bankruptcy protection in the State of New York since these Trusts were formed under the laws of the State of New York. 2. These Corporations will, with Court approval, seek to Sell Off millions of worthless mortgages for cents on the dollar. 3. 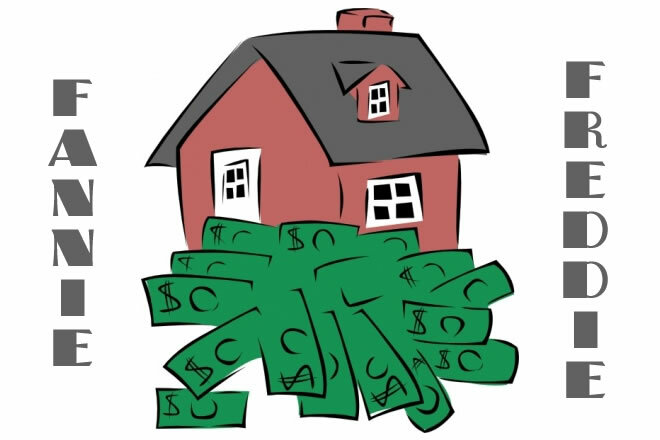 Homeowner’s mortgage documents will be either Actually or Effectively destroyed by this Sell Off because history tells us that, when Bankruptcy Sell Offs are conducted, both the buying entity(s) and all records pertaining to that Sell Off purchase of assets is classified as Bankruptcy Remote and the buying entity(s) is/are not susceptible to lawsuit challenge and documentation is no longer Discoverable under Law. 4. This Destruction of Evidence will make the subsequent proving of Securities Fraud and Income Tax Fraud more difficult. 5. Perpetrators will barter legal agreements, which they pay for with your stolen money, to buy “Get Out Of Jail Free” cards from the Federal Justice Department. 1. Struggle and work to pay all your mortgage payments thinking you are buying a home. 2. In fifteen (15) years or thirty (30) years you will be expecting to receive the Original Promissory Note marked “Paid In Full” and a clear and perfectible Deed after you make your last mortgage payment. 3. You will receive Neither since the Deed of Trust was destroyed many years before and you will have NO IDEA who owns the Promissory Note, if it even still exists, and therefore, you will not know who to contact to attempt to obtain the Non-Existent Promissory Note. 4. The Original Mortgage Company you THOUGHT you were dealing with has long since gone out of business, likely through Bankruptcy. 5. Your County Recorder’s Office will have been rendered ineffective and useless due to their Filing Records History having been destroyed by the RICO Fraud Enterprise. 6. You will be incapable of Legally proving a perfectible and enforceable Chain of Title. 7. You will likely have spent hundreds of thousands of dollars on a property to which you are emotionally attached and for which you, at that future time, will be unable to prove a clear, perfectible and total Chain of Title ownership. 8. You will still be held liable for all Property Taxes due on a Property that you do not Legally Own. 9. Selling the Property will become all but impossible since you will be unable to Legally and Ethically pass clear Title of Ownership to a new buyer. 10. You will be at a later stage in life when the last thing you will want to confront is a long, expensive and stressful legal Battle to attempt to perfect your Legal relationship to the property. 12. You will then realize that you have been and, continue to be, a RENTER who has unknowingly been given the privilege of paying all maintenance, improvement, insurance and Tax expenses on a property you DO NOT OWN. 13. At this point, your official legal classification is that of an Involuntarily Indentured Servant. 14. Indentured Servitude is illegal in this Country under Federal Law. 15. Putting off and ignoring the problem will only bring an ever-worsening degree of harm, heartache and financial ruin upon you and your loved ones as each year passes. 16. This writer will not stand quietly by and wake up in thirty (30) years to fight this fight when I am too old to do so. 17. 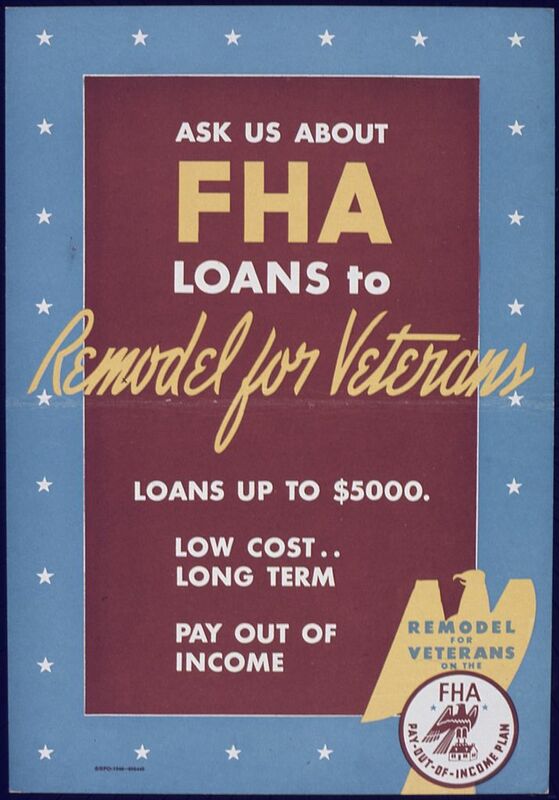 If we, as Americans, do not see a dramatic directional change in the behavior of the U. S. Government in their desire, as proven ONLY by their Actions, to stop this Fraud, hold the perpetrators accountable, legally repair, on a Federal Court level, the millions of broken and destroyed Chains of Title and protect innocent Homeowner victims, this writer will file a Civil RICO Fraud Lawsuit and will go to the mat, and to the U. S. Supreme Court, if necessary and possible, to disclose and fight this LARGEST RICO FRAUD IN RECORDED HISTORY. 18. It is Your Life and Your Family’s Welfare: WHAT ARE YOU GOING TO DO? 19. WE CANNOT CONTINUE TO PASS THE BUCK, SIT ON THE SIDELINES AND EXPECT SOMEONE ELSE TO DO THAT WHICH WE SHOULD BE DOING NOW TO STOP THIS FRAUD. So where does the story go from here? Now it’s up to you. 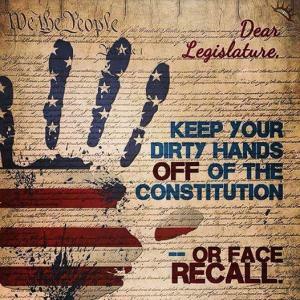 Sign the petition, then share this information with everyone you know. Read the related articles and watch the YouTubes. The petition is available online, and ask your participation. This is an opportunity for you to make a difference. It will cost you nothing more than a few minutes of your time.